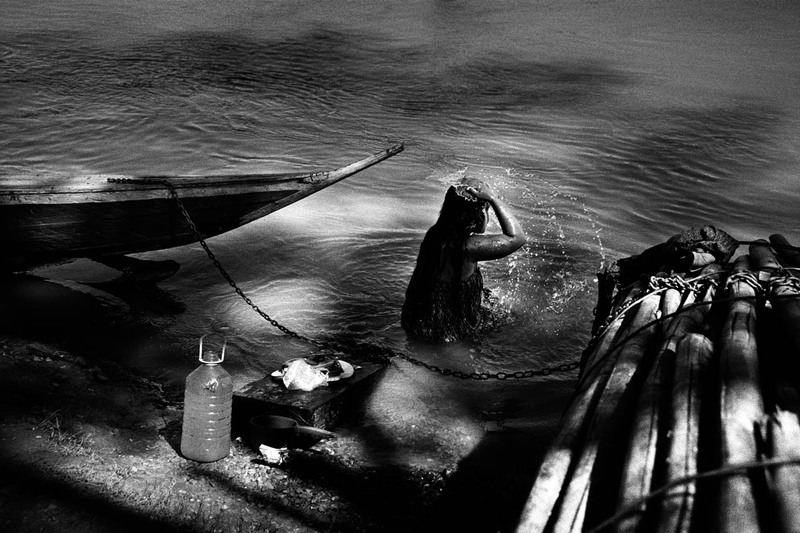 A girl taking her morning bath in the Se San river. After the construction of big dams up-river in Vietnam, people living down-river in Cambodia have been suffering problems with skin-diseases, without knowing the exact reason. Occasionally the locals have seen strange colours, foam and bubbles in the river.